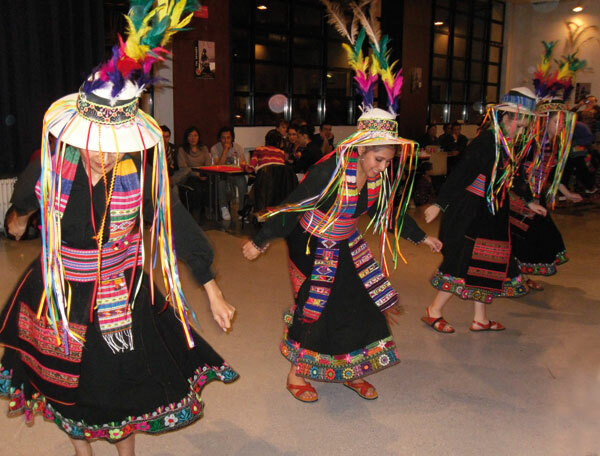 The french-bolivian folkloric ballet ''Bolivia Sin Fronteras'' (Bolivia without borders) has been created on 4th sepetember 2009, conducted by Javier Condori with the support of Andes diffusion. The ballet joined several varied shows, not only on stage but also in parades, with some groups of music. They have lately performed during the cultural week's show «La voix de la diversité» which took place within UNESCO in May 2010 in Paris. That show was organized by the bolivian's embassy in France and by the permanent commission with UNESCO. He has started its aristic formation in 2005 in the formative course of the national Bolivian Folkloric Ballet with Professor Margoth Salas, conducted by Master Manuel Acosta and by the art director Leonardo Acosta. After the Ballet's change of leadership, Javier Condori went on with his training with Professor Vadim Saavedra and then with Juan Begazo. The Ballet was conducted by Shirley de la Torre. This very year, Javier Condori took part in the corps de ballet of The Bolivian Folkloric Ballet, and notably when the performance of the theatral dancing show « La Cantata Popular Indio » which was choregraphied by Julio Cesar Paco Aguilar from the Official Bolivian Ballet, happened to take place. Since 2007 Javier Condori lived in Paris where he have found the opportunity to join a variety of Bolivian dancing groups and Latin-american groups . He also took part in several differents performance with Professor Juan Carlos Mayto, within the association « Andes diffusion ». In 2009, he formed the french-bolivian folkloric ballet « Bolivia Sin-Condori » with the support of Andes diffusion's association and with the cooperation of Magali Moreau-Condori. She played music since she was a 8 years old girl. She first learned how to play Violin and had a classical register at the music conservatoire of Blois with Professor François Goïc. She had then the opportunity since 1995 to play concerts next to different bolivian musical groups (Inka Wara, Qhantati, Machaqa). She's actually part of the universitary orchestra of Paris Sorbonne. She contributed in 2001 to the creation of a Bolivian dancing band called Quipus de Bolivia, with the help of Zulema Loayza and Françoise Martinez. From 2005, She had joined a workroom of dances fro the association Andes siffusion and took part in, in 2009 , the creation of the folk French-Bolivian Ballet « Bolivia Sin Fronteras » conducted by Javier Condori.